A corner lot in a low traffic area with a 1999 affixed Park Model AND the lot next door including 2 producing citrus trees and a nice shed. This unit is completely furnished, ready to move in! A small attached Arizona Room on the Park Model is equipped with a stacked washer/dryer. 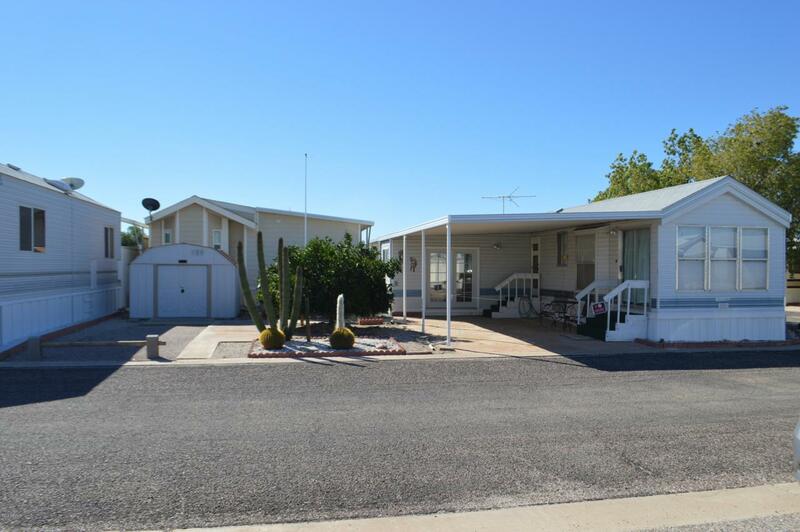 Caliente Casa De Sol is the greatest 55+ retirement park in Central Arizona, and a huge selection of amenities including a well-equipped exercise gym, 4 pools with hot tub, seven laundry rooms, and a large Club House. Listing courtesy of Woodmere Associates.